EDITOR’S NOTE: The following blog originally ran in February of this year. We’re republishing it here, with minor edits to the original text. For those of us who came up in the entertainment industry through more traditional routes—film school, toiling on set as a PA, etc.—the emerging world of online content creation can be an intimidating one. Even more than the indie film explosion of the 1990s, new tools in technology and distribution have made it possible for visual storytellers to explore new forms, new audiences and build new careers. 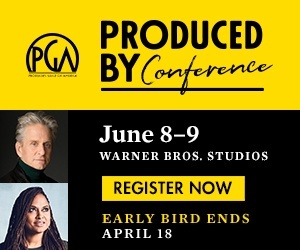 One of the most exciting of these new pieces of content is the short-form video essay, combining elements of documentary, academic research, cultural criticism, motion graphics and crisp editing to explore everything from the emergence of the open-concept office to Marvel’s lack of memorable film music. But while video essays on filmmaking are seemingly a dime a dozen, there’s a curious lack of attention in the space being paid to music—a market inefficiency recognized last year by Ottawa-based music journalist and video editor Noah Lefevre, creator of emerging YouTube channel Polyphonic in response. In just under a year, Polyphonic has garnered nearly nine million video views and over 180,000 YouTube subscribers, thanks to it’s compelling, intelligent and highly watchable video deconstructions of everything from the influence of Afro-Futurism on Janelle Monáe to Jack White’s expressionistic use of color. 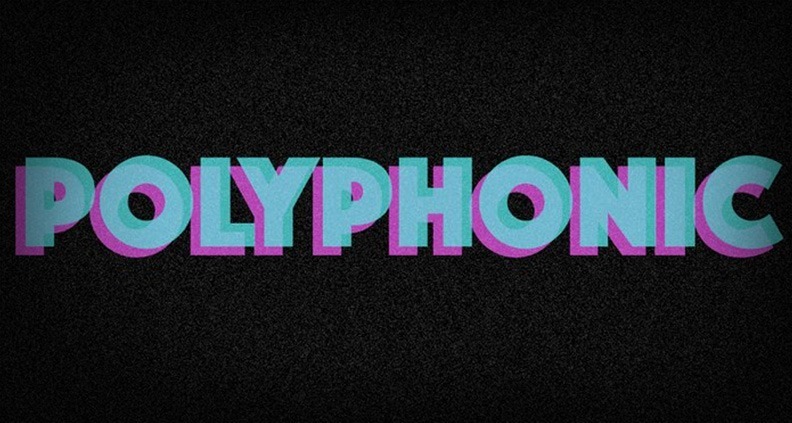 So for anyone who may be unfamiliar, tell us about Polyphonic. What is it and what are you trying to accomplish? Lefevre: At its core, it’s mini-documentaries that help people to have a better understanding of the music they love, or help to teach them new stories, or find new ways to appreciate music they might not love yet. It’s a place to kind of play around and experiment with graphic design and the different ways we can stylize video and use stylization to augment our storytelling. What made you want to start doing video essays, and why did you decide to focus in on music specifically? Lefevre: Around two years ago now, I was just kind of discovering video essays on YouTube. I really fell in love with the medium, mostly watching stuff by the Nerdwriter or Every Frame a Painting—the medium really spoke to me. The big thing I noticed: a lot of these guys, every now and then they would do a video about music. But really people tended to zero in on film. There’s really this gap in the medium. I wanted video essays about the musicians I loved. So I started to make them. Can you describe your prior video production or video editing experience? Also, what is your music background? Lefevre: I have some background with film editing and video work from journalism. I studied journalism as an undergrad—TV reporting, radio reporting, that sort of stuff. And then musically, I’m an amateur musician. But where I really have strong music ties is in music journalism, which is what I was doing prior to this. Album reviews, concert reviews, interviews with bands—I had a podcast where I interviewed bands for a while. Lefevre: It was called Brews ‘n Tunes. Each week we’d take a different craft beer to a local band and interview them while they drank a different local beer. Take us through your workflow for a typical Polyphonic video. Lefevre: Usually it starts with a concept. Often I’ll be out with friends and a song will come on or I’ll be listening to one of my records, or I’ll just be listening to the radio and an artist or song will just come on that I realize could be good fodder for a video. Then I’ll start the research and do around a day—around six to eight hours—of researching and writing a script. I tend to write scripts in bunches, so I’ll write three to four scripts and then go into the editing process. It really depends, but it’s anywhere between, I’d say, like 20 or 40 hours assembling resources, putting clips together, editing, recording the vocals. I edit in Adobe Premiere, so I put it all together and I always work a few months ahead of schedule. I’ve currently got videos prepared through April, so I’ll usually let it sit for a bit. Then, a week before I plan to launch it, I’ll revisit it and often I’ll make small tweaks and just do little things here or there to make sure it’s ready. Lefevre: The response has been absolutely incredible, greater than I ever really imagined. I just started putting out [videos] as a hobby, something to do on the side. My fourth video was my John Bonham video, which went viral and now has three million views. When I originally released that video I ultimate was hoping that it might hit a thousand. Polyphonic has become my job right now, which is really cool and which I never thought would happen. One of my goals with Polyphonic is to explore all kinds of music and show that all music has merit. I want to build a space for an appreciation of music. Because all of these musicians, it’s their passion. It’s their life, and I think a lot of time it’s easy to take for granted the amount of work that goes into something, because some artists put a lot of effort into making something sound effortless. Why is YouTube the platform you’ve chosen to distribute the work you’re doing? Lefevre: I think that the biggest thing is just the audience base on YouTube. It’s kind of where people tend to go to look for this sort of stuff. While I do have certain issues with YouTube, it is better for creators for monetizing than something like Facebook. YouTube gives creators some level of agency—though not as much as something like Vimeo. And as much as I don’t specifically do something like this for the money, if I can get money for doing it and make a living out of it, I can spend more time focusing on my videos. If I’m making a living off the product, it’s going to be a better product. You can watch of Lefevre’s work for Polyphonic by visiting YouTube and follow Polyphonic on Twitter and Facebook for more.